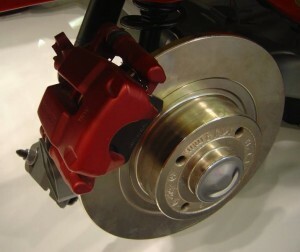 All types of brake repair taken care of. Having trouble with your brakes? Want to get that squeal checked out? Pop in to J A Car services just on the outskirts of Ashford and we will take a look for you. We are specialists in all kinds of brake repairs, so whether you are suffering from a stiff brake pedal or your car isn’t slowing down quickly enough; trust our team of technicians to make sure your car is safe and as good as new. We have a fully trained team to take care of your brake problems with a wealth of experience. Hence you can be confident that we have the knowledge and skills to get the majority of problems sorted in a quick and efficient manner. We can carry out repairs on various types of brake systems from drum brakes, disc brakes to your ABS. All of which are critical components to the safe operation of your vehicle which is why we recommend you have your brakes checked periodically, not just when your MOT is due. If you do experience any grinding sounds when braking this could be an indication that your brake pads have reached minimum thickness. If that is the case we would highly recommend you have your pads replaced as soon as possible. We will always inspect your brakes properly beforehand just in case this isn’t actually the root case of the problem, or there is a different underlying problem with your car. If this is happening it could mean there’s an issue with your brake hydraulics or there’s a sticking on the brake disc, again we will always inspect your brakes carefully before carrying out any work. If you are experiencing any other problems feel free to pop over and we’ll take a look at your car for you. Sometimes it’s just a minor problem but nothing compares to the peace of mind you get knowing one of the most critical components is in good safe working order. We're a family run garage that have been trading since 2005, just on the outskirts of Ashford. We offer the following services. We are just off the Old Ashford Road that runs between Ashford and Hamstreet on Steeds Lane.